There appears to be a common thread among current underwater hotel projects—they all take a staggering amount of time to get off the ground. Or, under the sea. 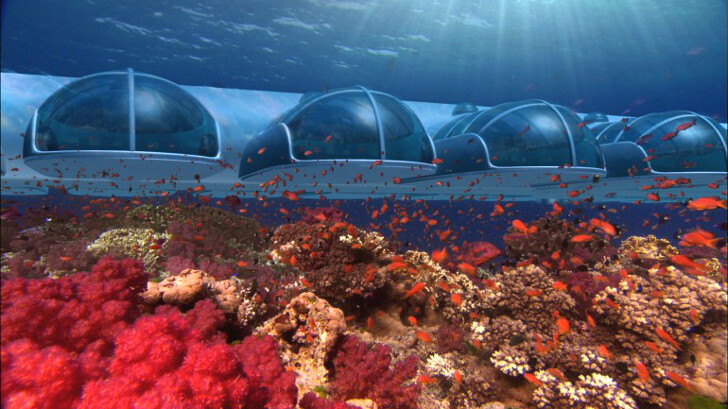 Poseidon Undersea Resorts is no exception. Planned for a site 40 feet underwater in a 5,000 acre lagoon near a Fijian island, Poseidon Undersea Resort is slated to be the “world’s first permanent one-atmosphere sea floor structure and world’s first true undersea resort.” It was initially scheduled to open in September 2008, and now, four years later, designs have been finalized for the ambitious submarine-inspired five-star hotel. Projected to cost guests $30,000 per week, the Poseidon Resort will include 24 pod-like suites, each of them 550 sq ft in size, alongside a restaurant and bar. Located in a separate cluster of units, the resort will house a library, a spa, a conference room, a wedding chapel and a theater. The entire resort, and the elevators by which it will be accessible, are to be pressure controlled. There appears to be a common thread among current underwater hotel projects—they all take a staggering amount of time to get off the ground. Or, under the sea. Poseidon Undersea Resorts is no exception. Planned for a site 40 feet underwater in a 5,000 acre lagoon near a Fijian island, Poseidon Undersea Resort is slated to be the "world's first permanent one-atmosphere sea floor structure and world's first true undersea resort." 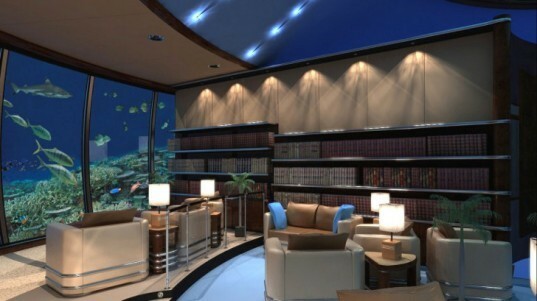 It was initially scheduled to open in September 2008, and now, four years later, designs have been finalized for the ambitious submarine-inspired five-star hotel.